Le Grands Pins is a luxury camping site that can be found right on the edge of the large and lovely Lake Sanguinet. In addition to being a very tranquil spot where guests can unwind in style, people who choose to rent a mobile home at Le Grands Pins will be given free access to vast array of luxurious facilities and amenities that are designed to make sure they enjoy an unforgettable camping holiday that is packed with fun things to do. What Makes Le Grands Pins So Special? This excellent LUX-camp is set right on the very edge of the lake and guests are able to freely access this fantastic location. In addition to being a pretty place to simply sit and soak up the view, this large lake is also an enchanting place to practice a wide range of different types of water sports. Windsurfing is a popular pastime here on windy days, while other people take to Lake Sanguinet to take part in water skiing. This luxury camping site offers guests equipment hire and the pointers to get them started if required. 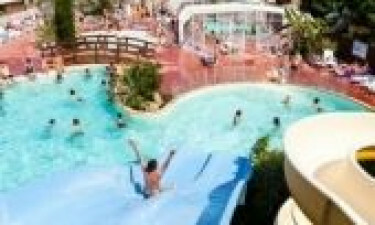 Guests will also be able to let off a little steam at Le Grands Pins’ large water park. 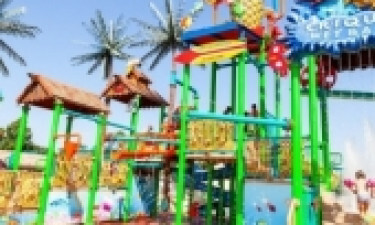 This park boasts three large and colourful water slides that are sure to appeal to adults and older children, while younger children will be able to splash around in a separate children’s pool. A large covered swimming pool is also provided right next to the outdoor pool and both swimming pools are surrounded by large patio areas that are set with sun loungers. Those who plan to enjoy luxury camping for a week or more will be able to make use of a good range of washing facilities at Le Grands Pins. There are both washing machines and tumble driers to make use of here, while the 25 individual washing cubicles come with wheelchair ramps so that they are fully accessible. There are several onsite snack facilities that serve up a good range of quick meals and light bites that guests can take away to enjoy by the picturesque lakeside setting. 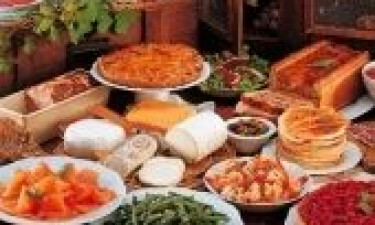 Indulging in a fine French meal at the onsite restaurant is an experience that should not be missed and there is an excellent range of dishes to choose from here as well as a selection of British dishes that the kids are sure to love. People who want to pack a picnic to enjoy beside the picturesque lake will find fresh bread and everything else they need at the onsite supermarket. The mobile homes also come complete with cooking facilities, which makes it easy for guests to put together tasty and nutritious meals for the whole family if they choose.